Shall I be emphasizing the idea that online shopping is one of the most convenient way for purchasing products that are part of your wardrobe or any other accessories to go with it? It seems that online shopping for apparel has gained more popularity and, therefore, many famous brands can be purchased online regardless where you may be. Not to mention that whenever you have been too busy at work or at home attending daily tasks, you can just relax on your couch and start browsing for the apparel that you haven't had time to shop for. Once you finish your work, your kids are put to bed and you sip your glass of milk before going to bed, you can quietly relax and have a pleasant experience with online shopping for the needed clothing item. But with all these advantages there must come as well a price to pay and this price I am about to talk in this article. 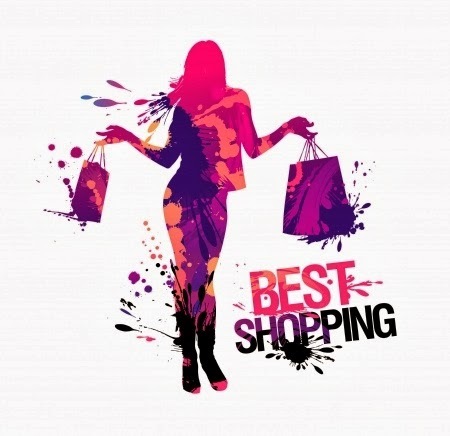 * Since you cannot sample products you shop for, you should check the website for their return policy. In case you do not like what you get, you must make sure that you can safely return the item to the company you have bought it from. Say that the company has delivered a wrong size or meanwhile you have found another item to replace this one with. For these reasons and many others, you need to have a backup plan in the form of Return Policy terms. * Speaking of the impossibility of trying on the product that you purchase through online shopping: check with the size chart that many of these websites offer for their customers. So long as you know your size, it won't be hard to find its conversion into another measurement system since these systems differ accordingly worldwide. * Another aspect related to the appearance of apparel that you wish to purchase within your online shopping process, comes in the form of fabric texture. Yes, the virtual shopping won't allow you to have a feel and touch of the fabric. Therefore, many companies displaying their products online will present the fabric content of the piece of clothing you intend to buy. All those online stores that are of good quality and professionalism should provide this information for you and not just the picture of the clothing. By looking at the picture you cannot determine the texture of the fabric, can you? * Conduct research prior to completing the online shopping process. In fact, before you shop on a specific website, make sure they are professional and present their services in a qualitative manner. Look online for forums discussions on that particular store and see what other people think of it.